For many people December seems to have two settings: Fa la la la la la and Silent Night. Both have their merits. The year is nearly over, so the holiday season is an excuse to go out with a bang. However, for all those times we’ve stayed out late partying on a school night, we could use some quiet time at home, or to take things down a couple of notches with an intimate gathering of friends. In these slightly less rollicking moments, I prefer to sip some good wine and leave the cocktails, punches and nogs for other celebrations. I crave richer flavors in my glass this time of year, so I look toward varietals and blends with more intense fruit and exuberance to satisfy my palate. I want wines I can drink for mere sipping pleasure as well as ones that will match wintry fare. Lately I’ve come across a few that suit the more subdued, yet still jolly moments of the season. Here are a couple to drink while relaxing or puttering at home, and some suggestions to bring to a dinner party or small gathering. California chardonnay gets a bad rap. Someone at a party once remarked to me, “I don’t like chardonnay because it’s too oaky.” No. Oak is too oaky! With some care and attention, chardonnay shows bright, elegant fruit and delicate aromatics. I’m drawn to the ones from cool climate regions, such as Carneros in Napa Valley. Artesa Carneros Chardonnay 2013 is the perfect winter white - comforting, toasty and rich, with golden apple, pear, caramel and citrus flavors that aren’t too buttery or flabby. Winemaker Ana Diogo-Draper used a whole-cluster pressing process to gently coax the juice from the grapes instead of crushing them with Godzilla force. 30% of the wine was fermented in new French oak, 20% in seasoned French oak and 50% in stainless steel, with 30% of the wine undergoing malolactic fermentation. Sip this satisfying refreshment while doing some holiday decorating or waiting for your takeout order. “I like to cook with wine, sometimes I put it in the food.” Was it Julia Child or W.C. Fields who said this? I’d like to think it was Julia, as I’m not sure I’d enjoy a meal cooked by Fields nearly as much. Either way, Achaval-Ferrer Quimera 2012 red blend is just the thing to sip while making a slow-cooking soup, stew or braise, and it will also taste fabulous while eating it. It’s a blend of 50% malbec, 24% cabernet franc, 16% merlot, 8% cabernet sauvignon and 2% petit verdot - all grown in vineyards throughout Mendoza, Argentina. New and French oak aging lends a light toast to bing cherry and berry flavors with dark chocolate, mossy earth and savory herbs. I’ve always been drawn to Portuguese wines because of the mosaic of flavors captured in those bottles, and I especially like to drink them in cooler seasons. Rather than focusing on individual grapes, these wines tend to be harmonious blends of grape varietals that each contribute their own voice - earth, spice, tannin, jamminess, freshness, intensity. One of my favorite producers of late is Esporão, who are committed to sustainable growth and preserving the country’s indigenous grapes. The Monte Velho 2014 White is a blend of Antão Vaz (40%), Roupeiro (40%) and Perrum (20%) that’s slightly perfumey with ripe and juicy stone fruit flavors, a zing of grapefruit zest and balanced acidity. It’s ideal as an aperitif to serve with light snacks and hors d’oeuvres or to sip with a root vegetable soup course at a dinner party. 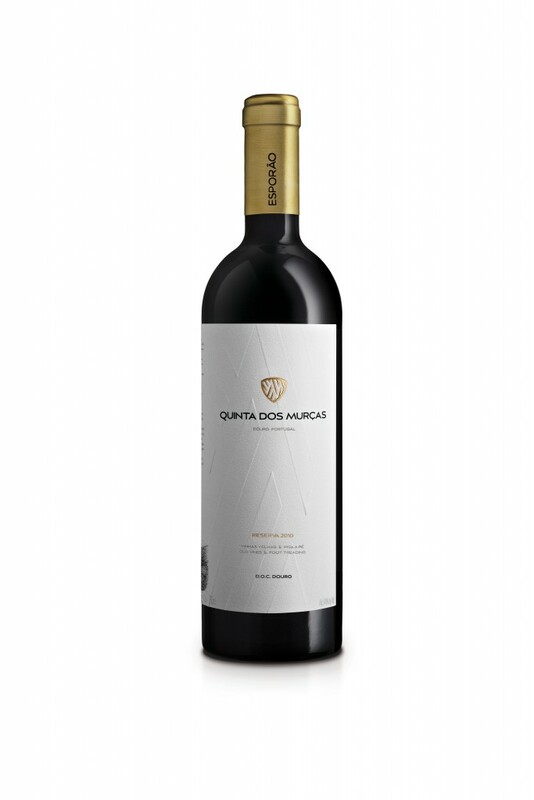 Quinta dos Murças is a newer project located in the Douro region from Esporão, launched in 2011 with winemaker David Baverstock. The Reserva 2010 DOC Douro is a red blend comprised of grapes grown in high, rugged hills that see tempestuous fluctuations in weather patterns. I sipped this with a cheese and olive plate as I caught up with old friends, and the wine not only matched our delicious snacks, it seemed to shift its own moods according to our conversation, going from somewhat dark and brooding to spicy, ripe and playful, then tranquil and relaxing. Because Why Wait Till December 31 To Open the Bubbly? Not only am I the sort of person who keeps a bright red lipstick somewhere within reach at all times, I’m also someone who always keeps a bottle of something sparkly in the fridge. Sometimes everyday moments call for a pop of festivity, and bubbles have a way of making that moment seem more luxurious. You don’t have to go nuts. Côté Mas Blanquette de Limoux NV St. Hilaire Méthode Ancestrale costs under $20. It’s made from 100% Mauzac under controlled conditions during fermentation for dainty bubble size (because nothing spoils a jocund mood like gassy attack bubbles). The wine has tropical fruit, pear and citrus flavors with a subtle honey sweetness and slightly floral finish. You can sip this neat, pair it with snacks or it makes a fine base for sparkling cocktails when you’re ready to face something stronger again.